Blank Page Muse: Hippity Hop at Easter! Here we are another month whizzing past - hope April has been a creative month for you all so far!!! I thought with Easter coming up it would be a perfect opportunity to create some Easter gift tags and also incorporate our theme of embossing - both dry and heat!!! Sorry no "chocolate" involved here unless of course you want to attach your Easter tags to a big box of chocolates for a loved one!!! Hope you enjoy the process! Ink Sprays, Gelatos, Chalk Paints etc. Embellishments of your choice ie. string, fibers, charms, scrabble letters etc. 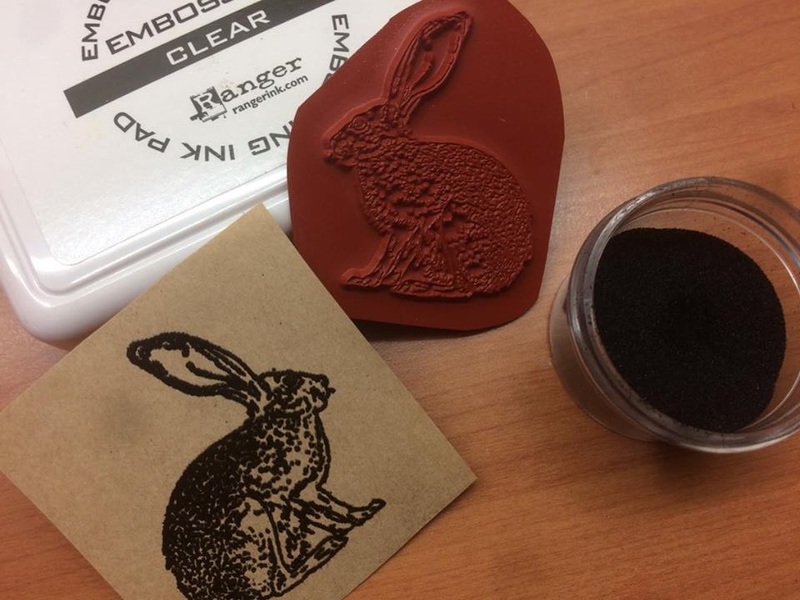 Stamp the Jack Rabbit stamp onto kraft paper with the embossing ink pad and heat emboss with the black embossing powder. Fussy cut your bunny! 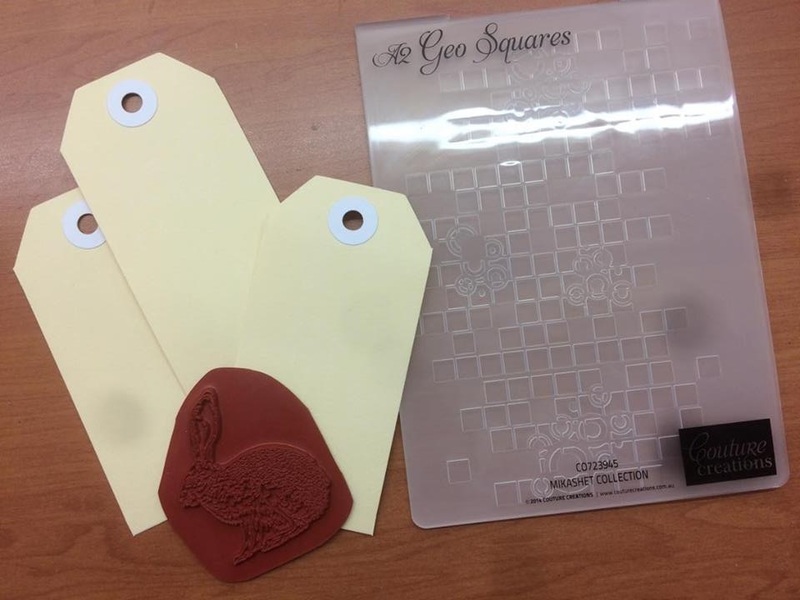 Use your embossing machine and dry emboss your tags. 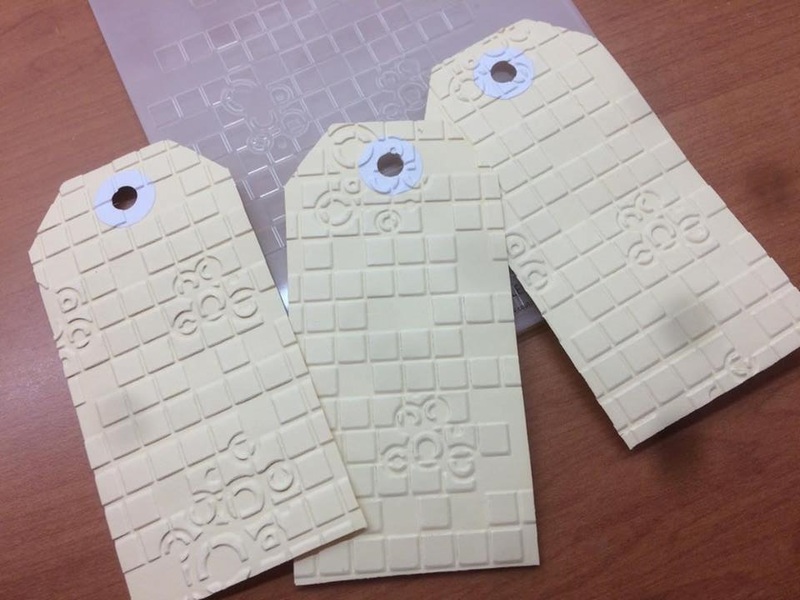 Emboss multiple tags so you can make several tags in one sitting! Ink spray the tags using colours of your choice and allow to dry. 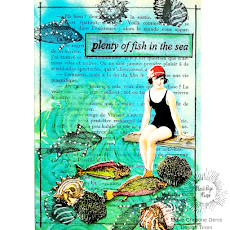 Use paper towel to absorb excess spray - the inky paper towel makes great backgrounds for other creations! 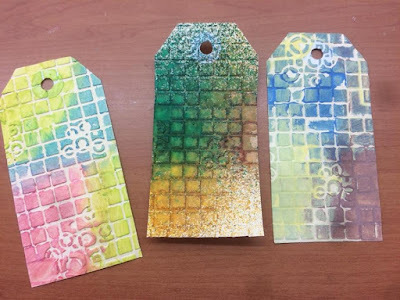 You can also add colour to the tag backgrounds with your fingers and chalk paints OR gelato crayons and water - whatever mediums you have on hand! Below shows tags "coloured" with gelato's, ink sprays and paint! Add your rabbits and embellies to the tag and adhere. Add some string/fiber to the tag tops ready to tie onto your Easter gifts! Distress the edges of the tag with ink if you wish. Thanks for joining me today - hope you all enjoy the Easter break next weekend - don't eat too much chocolate! 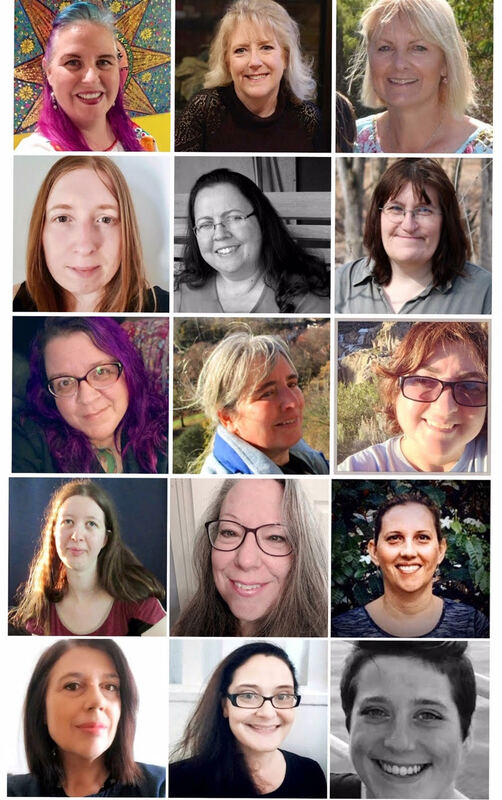 Remember to check out all of our social media sites!! !